Traditionally, safety improvements were implemented by conducting site analyses of locations that had high crash numbers and applying countermeasures at those locations. This data-driven approach has resulted in substantial safety improvements, and while still a very necessary part of reducing fatalities and serious injuries, it is reactive to crash history data. Is there a way to use data to proactively prevent crashes? The answer is yes, and Karen Scurry from FHWA's Office of Safety spearheaded the development of the Systemic Safety Project Selection Tool to do exactly that. The definition of risk management has a few variants, but in essence it is the identification, evaluation, and prioritization of risks that allow us to make decisions to reduce the probability and/or impact of unwanted events. Ideally, the risks with the greatest impact and probability are prioritized and addressed first, and lesser risks are addressed in descending order. 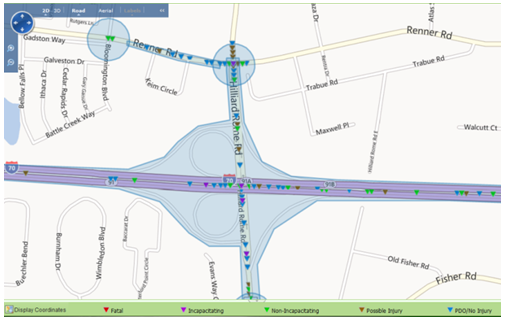 The Systemic Safety Project Selection Tool helps identify roadway features correlated with severe crash types and then supports the analysis of a roadway system for the presence of those roadway features. Locations on the system with risk factors (roadway features) are identified so they can be evaluated for countermeasures and prioritized for investment. The tool assists with the selection of countermeasures that are most appropriate for those locations so they can be implemented before the identified locations develop a crash history—stopping a crash before it happens. The systemic approach goes beyond managing risk just at high crash locations; it takes a broader view and seeks to minimize risk across an entire roadway system. This enables a more comprehensive and proactive approach to planning safety improvements to help prevent the most severe crashes on the Nation's roadways. I encourage you to read in more detail about this tool in this edition of the Safety Compass. It's widespread use can help us transition from chasing the ambulance to keeping it parked. Identify model practices for overcoming these challenges. Thirty-eight of 50 State DOTs responded to a questionnaire distributed under this assessment, and Ohio, Nebraska, Louisiana, Florida, Tennessee, and California were interviewed to further identify noteworthy practices. The assessment revealed that local road safety programs are organized and administered differently from State to State. The level of support provided to local agencies varies just as greatly, and no "one size fits all" solution exists. In general, the questionnaire identified four levels of support: resources and information, training and development, technical assistance, and project implementation strategies. The following sections summarize the key findings, challenges, and noteworthy practices identified in each of these areas. A number of the DOTs set aside funds for local safety, including Highway Safety Improvement Program (HSIP) funding, High Risk Rural Road Program funding (HRRRP), State funds, or other Federal funding sources. Fatality and serious injury data are the key determinants for setting aside funding. The questionnaire surveyed respondents on whether these funds were obligated or spent on local roads. 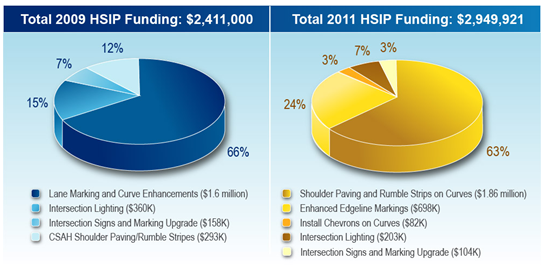 Between fiscal years 2009 and 2011, States reported spending $710.1 million of HSIP, HRRRP, other Federal funds, and State funds on local road safety improvements. To encourage local agencies to develop road safety projects for funding, a number of DOTs provide financial incentives, with the most common being funding for the preliminary engineering components of projects (i.e., work necessary to advance a project from concept stage to contract award). DOTs, LTAPs, MPOs, and other entities (such as universities) provide training on data analysis, problem identification, countermeasure identification, benefit/ cost analysis, application preparation, and project development. 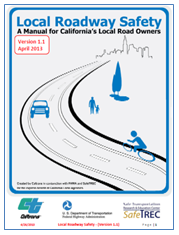 For example, Caltrans developed Local Roadway Safety: A Manual for California's Local Road Owners, which provides an easy-to-use and comprehensive framework of the steps and analysis tools local jurisdictions need to proactively identify locations with roadway safety issues and come up with the appropriate counter-measures. DOTs, LTAPs, and MPOs provide technical assistance to local agencies by supporting technical activities. Technical assistance may include data analysis, problem identification, countermeasure identification, benefit/cost analysis, application preparation, project development, post project evaluation, and other types of support. DOTs use a number of approaches to help local agencies identify road safety projects for funding. Two of the most common strategies are conducting road safety audits (RSAs) and systemic safety analyses. A number of challenges are inherent to the data collection and analysis that are a necessary element of systemic safety analyses. Seventy-one percent of the DOTs recognized lack of exposure data on local roads as the top challenge, 29 percent cited completeness and accuracy of crash data, and 15 percent mentioned a lack of proven data analysis techniques. States identified a variety of strategies to mitigate some of the data concerns. Notably, Ohio DOT developed a web-based GIS Crash Analysis Tool (GCAT). Crash data and maps are available for most of the local roadways, and the tool can also produce standard crash trend charts and graphs. Local agencies are offered half-day training on this tool at no cost. By using a "push-button" contract process, the Florida DOT implements projects from a pre-approved list of safety countermeasures. This process has resulted in project timelines being reduced by 25 months. Many DOTs provide support personnel or other resources to local agencies to coordinate project implementation. Some strategies include guiding local project selection criteria, reviewing project applications, providing stewardship and oversight, and identifying opportunities to streamline the project development and implementation process. Of particular interest are the approaches to help streamline the Federal-aid process for local safety improvement projects. For example, the Florida DOT uses a "push-button" contract process, implementing projects from a pre-approved list of safety countermeasures that do not require right-of-way acquisition and have minimal environmental impacts. This process has resulted in project timelines being reduced by 25 months. This is among the 20 strategies identified in the assessment to reduce the administrative burden of safety project for local agencies. A shortage of staff at local agencies means that some States take on the responsibility of implementing safety improvements on local roadways on behalf of those local agencies. The Tennessee DOT Local Roads Safety Initiative provides low-cost safety improvements to local agencies through a consultant contract and process that directly engages local stakeholders. Noteworthy practices identified through the assessment clearly show the extent of project administration, and implementation support varies depending on available resources and the State's local road safety program organization. The full report, Assessment of Local Road Safety Funding, Training, and Technical Assistance, contains the assessment findings, case studies, and a list of questions State DOTs and LTAP centers can use to identify opportunities to enhance or initiate a local road safety program. To read the full report, please visit the Highway Safety Improvement Program resources page at http://safety.fhwa.dot.gov/hsip/resources/ or the Local and Rural Road Safety Program website at http://safety.fhwa.dot.gov/local_rural/training/. For hard copies, contact the report center at report.center@dot.gov. The FHWA Office of Safety has released a new Systemic Safety Project Selection Tool which provides analytical techniques and models for State and local agencies to apply the systemic approach to safety. Systemic safety involves improvements that are widely implemented based on high-risk roadway features correlated with particular severe crash types. It compliments traditional site analysis by recognizing that crashes alone cannot always determine what countermeasures to implement, particularly on low-volume local and rural roadways and in many urban areas where conflicts exist between vehicles and vulnerable road users (e.g., pedestrians, bicyclists, and motorcyclists). Systemic Safety Planning Process. Identifies priority crash types and associated risk factors; evaluates proven, low-cost safety countermeasures; and prioritizes alternative candidate locations for systemic safety investment. A Balance between Systemic and Traditional Safety Investments. Provides a framework for setting funding goals between systemic and site analysis programs. Systemic Safety Program Evaluation. Offers high-level guidance for evaluating systemic program effectiveness. The tool is flexible, easy to use, and accommodates whatever data an agency has available. It can be applied to a variety of systems, locations, and crash types. It also promotes a process that can be incorporated into existing safety management efforts, so minimal training and technical assistance is required. Since the systemic safety process is based on risk rather than location, the tool helps agencies identify characteristics to support system-wide risk assessments. 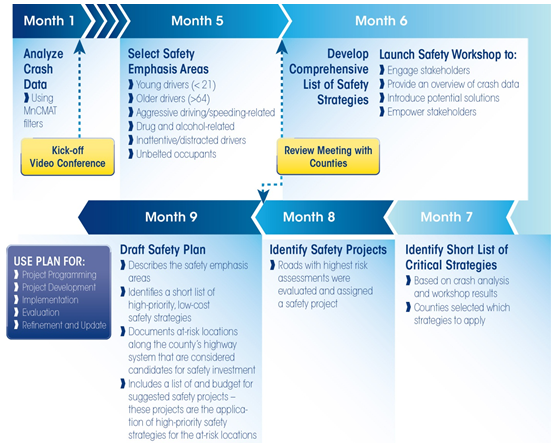 To download the Systemic Safety Project Selection Tool or to obtain more information, please visit http://safety.fhwa.dot.gov/systemic. By Richard West, PE, Otter Tail County and Renae Kuehl, PE, PTOE, SRF Consulting Group, Inc.
Minnesota's visionary Toward Zero Deaths (TZD) program was initiated by a diverse partnership of Minnesota State and county stakeholders who all saw the same problem: too many people in Minnesota were dying and being seriously injured on our roads. When TZD started in 2003, there were 655 fatalities in Minnesota, an increase from previous years. TZD was created to reverse the trend. In Minnesota, of the 190 fatal crashes each year, 33 percent involve a single vehicle running off the road, 75 percent occur in rural areas, and approximately 62 percent occur on the local system. In 2010, the Minnesota DOT shifted from a focus on reducing the overall number of crashes on the State system to a focus on reducing the number of the most severe crashes on the local system that result in traffic fatalities and life-changing injuries. A framework to overcome this challenge was established using a crash mapping tool (MnCMAT) and a formalized systematic process to develop unique County Roadway Safety Plans for the 87 counties in Minnesota. Otter Tail County was one of the first counties to have its plan completed. County officials point to the importance of strong partnerships with FHWA, Mn/DOT, MN LTAP, the Mn/DOT Office of State Aid and the MN LRRB as being critical to the successful development of the plan. The primary objective of the County Road Safety Plan Process (CRSP) is to identify a specific set of safety-oriented projects (such as the implementation of specific strategies at specific locations) and to directly link these projects to the causation factors associated with the most severe crashes on county highways. 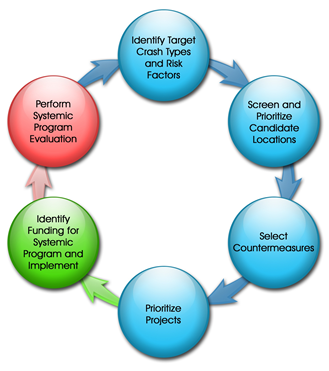 The diagram below outlines the process that was used in all 87 of Minnesota's counties to develop unique plans that are specific to the crash characteristics and the needs of each county. Otter Tail County's CRSP was completed in August 2011 and included suggested safety strategies for at-risk intersections, segments, and curves within the county totaling almost $7.2 million worth of potential safety projects. Since the completion of the plan, Otter Tail County has been successful in securing funds for many of the suggested safety projects. When it applied for the first round of Highway Safety Improvement Plan (HSIP) funds in 2009, Otter Tail County combined most of its projects with other counties within its district; this allowed each of the counties to implement more of the safety strategies at a lower cost since the mobilization costs for the contractor were reduced. Overall, county officials indicate that the benefits of having a County Road Safety Plan are tremendous and far outweigh the challenges in developing it. Not only does the plan help them prioritize projects and apply for HSIP funding, it is an important tool for facilitating discussions with the county board and the public on roadway safety issues. Stakeholders agree that this process has been very valuable and has provided them with a tool that will help save lives on our local roadways. One lesson that participants took away from the plan development process is that a greater level of public involvement from the beginning would have benefitted the process greatly, because with implementation, the county is now seeing the need to continue to educate the public on the plan and the projects that are being constructed as a result. Ongoing public education (including local elected officials) about the CRSP and safety projects is critical as public awareness is essential to the success of the overall Towards Zero Death program in Minnesota. For more information about Otter Tail County's experience with developing a successful county road safety plan, contact Rick West at rwest@co.ottertail.mn.us. Want to learn how Tennessee reduced intersection fatalities by 26%? Or how the Florida Highway Patrol identified critical safety areas using a web-based crash mapping and analysis tool developed for law enforcement? Or how Alabama flexes HSIP Funds for increased enforcement? Search the FHWA Noteworthy Practice Database to find out more about these and other innovative approaches to safety program planning, implementation, and evaluation. Learn how to save time, resources, and money, and most important—save lives! Visit http://rspcb.safety.fhwa.dot.gov/noteworthy/default.aspx today! On December 27, 2012 the FHWA issued new guidance on the content and capabilities that each State's safety data system should have. This guidance identifies and clarifies the provisions of the Moving Ahead for Progress in the 21st Century (MAP-21) reauthorizing legislation pertaining to the data, data systems, and analyses States should be using to support their Highway Safety Improvement Programs (HSIPs) and their Strategic Highway Safety Plans (SHSPs). A copy of the guidance is available at: https://www.fhwa.dot.gov/map21/guidance/guidesafetydata.cfm. Coordination between State agencies responsible for the safety data in support of a uniform approach to data collection and maintenance. In addition, the FHWA Office of Highway Policy Information and the Office of Planning, Environment, and Realty issued a "Memorandum on Geospatial Network for All Public Roads" on August 7, 2012 (available at https://www.fhwa.dot.gov/policyinformation/hpms/arnold.pdf). This memorandum identified a Highway Performance Monitoring System (HPMS) requirement for States to update their linear referencing systems to include all public roadways within the State. This linear referencing system is a means to geolocate all safety data on a common highway basemap that includes all public roads. Subsequent to releasing the memo, FHWA conducted an economic analysis, the MIRE Fundamental Data Elements Cost-Benefit Estimation, to quantify the expense and expected benefits of the investment for each State to collect the FDEs. Collecting the subset of MIRE and expanding the States' linear referencing systems is expected to improve an agency's ability to locate problem areas and apply appropriate countermeasures, hence improving safety through the integration of the additional roadway and traffic data into the safety analysis process. The analysis considers the extent of data collection already being conducted by the States and provides a national cost estimate. The cost estimations used in this analysis reflect the additional costs that States would likely incur based on what is being collected through HPMS but is not being collected through other efforts. 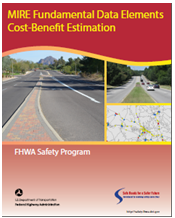 MIRE Fundamental Data Elements Cost-Benefit Estimation is available for download at: http://safety.fhwa.dot.gov/rsdp/downloads/mire_fde_cbe_finalrpt_032913_updated.pdf. For more information about the MIRE Fundamental Data Elements Cost-Benefit Estimation report, please contact Stuart Thompson at: stuart.thompson@dot.gov. For more information on the FHWA guidance, please contact Bob Pollack at robert.pollack@dot.gov. People in communities across the country are looking for cheaper and more convenient transportation options, and because of this, we're seeing a renewed interest in walking and bicycling. A number of trends are influencing this resurgence, such as young adults waiting to get their drivers' licenses (and driving less than previous cohorts); cities and States adopting "complete streets" polices that aim to accommodate the needs of all road users in transportation decisions; and new programs such as car share and bike share, which are creating innovative transportation options. Cities are also experimenting with new signals, markings, and signs to improve the safety and transportation experience for bicyclists and pedestrians. Because of this evolution of the transportation landscape, FHWA offices often receive requests for help in understanding whether a particular facility is allowed by the official design guidelines. Questions like, "Can our city install this new bike design? It's not mentioned in the design guides." Or "Is this pavement marking allowed in the Manual on Uniform Traffic Control Devices, and is it experimental?" are common. In recent years, a number of unfamiliar bicycle treatments have popped up, and it can be confusing to understand what can and cannot be installed according to design guidelines. Several offices at FHWA have been working to make it easier for people to understand what is permissible, what is experimental, and how much design flexibility there is. Two resources can help practitioners work through these issues and lead to more informed transportation decisions. The first resource is an FHWA web page (https://www.fhwa.dot.gov/environment/bicycle_pedestrian/guidance/design_guidance/mutcd_bike.cfm) that lists many of the new bicycle treatments, such as green bike lanes and cycle tracks (i.e., bike lanes that are physically separated from car lanes) and explains their status in the Manual on Uniform Traffic Control Devices (MUTCD) and in the AASHTO Guide for the Development of Bicycle Facilities. The web page is updated regularly when the status of treatments changes or new treatments are identified. People can also find out if there are experiments underway for treatments that are not yet in the MUTCD by looking at the online Official Rulings database, which can be found at http://mutcd.fhwa.dot.gov/orsearch.asp. The second resource is the FHWA guidance memo (https://www.fhwa.dot.gov/environment/bicycle_pedestrian/guidance/design_guidance/design_flexibility.cfm) released on August 20, 2013 that stresses the agency's "...support for taking a flexible approach to bicycle and pedestrian facility design." The American Association of State Highway and Transportation Officials (AASHTO) Guide for the Development of Bicycle Facilities (aka, "the AASHTO bicycle facilities guide"), the primary national design guideline for bicycle facilities, provides flexibility to encourage facilities that fit the local context. In 2010, the National Association of City Transportation Officials (NACTO) released the Urban Bikeway Design Guide to augment AASHTO's bicycle facilities guide. Practitioners have had questions about how the NACTO guide should be used, and the August memo clarifies that FHWA supports using both guides to consider options for improving transportation safety and convenience for bicyclists. The memo also explains that similar synergies exist for the AASHTO Guide for the Planning, Design, and Operation of Pedestrian Facilities and the Institute of Transportation Engineers Designing Urban Walkable Thoroughfares. FHWA hopes that practitioners will benefit from these two resources and use them to improve the safety and convenience of bicyclists and pedestrians across the country. These resources can help transportation agencies strive towards the goals of the 2010 US DOT Policy Statement on Bicycling and Pedestrian Accommodation which states that "...DOT encourages transportation agencies to go beyond the minimum requirements, and proactively provide convenient, safe, and context-sensitive facilities that foster increased use by bicyclists and pedestrians of all ages and abilities, and utilize universal design characteristics when appropriate." View the policy statement at: https://www.fhwa.dot.gov/environment/bicycle_pedestrian/overview/policy_accom.cfm. For more information on the FHWA resources available to promote safe bicycling and walking, contact Gabe Rousseau at gabe.rousseau@dot.gov. The purpose of the CMFs in Practice series is to illustrate the value of CMFs in these five activities and demonstrate the practical application of CMFs. For more information about CMFs in Practice, visit: http://safety.fhwa.dot.gov/tools/crf/resources/cmfs/. Most recent discussions regarding roadway safety culture have centered on defining the issue and reaching a common understanding of what "a culture of safety" means in the transportation context. There is consensus among safety experts and in literature that safety culture exists in different forms in the transportation industry. For instance, a State department of transportation (DOT) may strive to have a strong organizational safety culture in which all employees are committed to a safe work environment and proactively incorporate roadway safety considerations into the policies, programs, and products they manage or work on. In addition, the DOT wants road users throughout its jurisdiction to have a strong public safety culture in which everyone appreciates and practices safe driving. The extent to which safety is highly valued and rigorously pursued by an organization indicates the strength of that organization's safety culture. For example, a State DOT with a strong safety culture has employees who are safety conscious both in their daily routines and in the work they perform. They are aware of potential hazards in their work environment and are prepared to react to incidents. They have safety in mind when planning, scoping, designing, and constructing a roadway. All employees regularly communicate the importance of safety with colleagues, customers, and contractors. Executive leaders are vocal supporters of safety and empower employees to seek innovative approaches to improving safety. States or communities with a positive public safety culture have citizens who understand the risks associated with transportation and choose to make safe choices when using the transportation system. Drivers in a community with a strong safety culture are likely to wear their seat belt voluntarily, obey posted speed limits, limit distractions and inattention, and refrain from drinking and driving. In contrast, communities or states with poor public safety culture have citizens who are more likely to drive recklessly, fail to use a seatbelt, and drive distracted or impaired. USDOT Safety Council. In 2009, former USDOT Secretary Ray LaHood created the USDOT Safety Council composed of executive members from each of USDOT's modal agencies. The Safety Council leverages departmental expertise and leadership for information exchange, discussion, and collaboration to enable coordinated, cross-modal approaches to advancing the safety goal. As part of the Safety Council, a special action team was developed to take on the issue of safety culture. Through the work of the Safety Culture Action Team, Secretary LaHood signed the first ever USDOT Policy Statement on Safety in 2011. The Safety Council and Safety Culture Action Team continue to facilitate collaboration between the modal agencies and spur creative thinking to address complex issues in safety culture. 2013 National Roadway Safety Culture Summit. On August 20 and 21, the Transportation Research Board (TRB) hosted the first National Roadway Safety Culture Summit. The summit was organized by the TRB Roadway Safety Cultures Subcommittee and sponsored by the AAA Foundation for Traffic Safety. The two-day event included a number of presentations to frame the issues, define safety culture, and present examples of successful safety culture transformation. The summit also featured a keynote address from Anne Ferro, administrator of the Federal Motor Carrier Safety Administration. 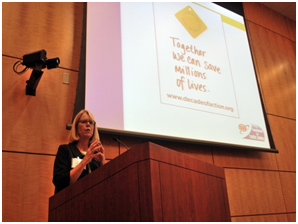 It also included a powerful speech from Dr. Jay Winsten, Associate Dean of Harvard's School of Public Health, who helped make the term "designated driver" relevant by working with Hollywood to include mention of the expression, among other safety messages, in a number of television shows in the late 1980s. In addition, the summit included four breakout tracks: organizational safety culture; public safety culture; leadership/creating champions and partnerships; and safety culture of professionals/workforce development. Each track provided an opportunity for participants to work in groups to develop research needs and action items related to a specific area of interest. The summit concluded with representatives from the four breakout tracks presenting research ideas and near-term actions related to their subjects. Notes from these breakout tracks, as well as key points from conference presentations and speeches, will be presented in a summit report, expected to be released in fall 2013. The TRB Roadway Safety Cultures Subcommittee that helped organize the summit will sponsor sessions at the 2014 TRB Annual Meeting, including a recap of the summit and discussion of research needs. National Transportation Safety Board Forum. On September 10 and 11, 2013 the National Transportation Safety Board (NTSB) hosted a forum titled, "Safety Culture: Enhancing Transportation Safety." The forum provided first-hand accounts of efforts from both transportation and non-transportation industries to develop positive safety cultures. Highlighting progress while recognizing remaining challenges, the invited panelists discussed advances in safety culture research and described the roles, responsibilities, and methods for developing effective safety cultures within their industries. National Cooperative Highway Research Program Project. The AASHTO Standing Committee on Research recently approved funding for a National Cooperative Highway Research Program (NCHRP) project titled "Development of a Strategic Plan for Transforming Traffic Safety Culture." This project will include a synthesis of existing work in safety culture and provide recommendations for State and local agencies to transform their organizational and public safety cultures. The project will begin in the next few months and has an anticipated timeframe of 24 months. Contact Ryan Brumfield at ryan.brumfield@dot.gov or Chimai Ngo at chimai.ngo@dot.gov for more information on safety culture. 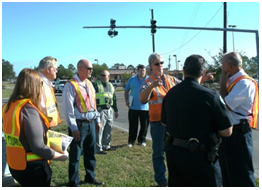 Section 1409 of the Safe Accountable, Flexible, and Efficient Transportation Equity Act: A Legacy for Users (SAFETEA-LU) established the FHWA Work Zone Safety Grant Program in 2005. FHWA awarded the first set of grants, totaling $17.2 million, in 2006. In 2011, the agency awarded a second set of grants, valued at $10 million. Together, the 2006 and 2011 grants serve as important education and training tools to help construction workers and practitioners learn about national standards and best practices in work zone safety. The grants address three focus areas: highway work zone worker safety training, highway work zone safety guidelines development, and highway work zone safety guidelines training. All Work Zone Safety Grant training and guidance products have been developed with input from actual work zone practitioners, and grant training is consistent with the National Highway Institute's instructional design standards. Since the grant program began in 2006, more than 40 training products and programs have been developed and delivered to more than 50,000 students, and more than 25 guidance products have been developed and delivered to 165,000+ workers and practitioners. All the training and guideline products developed under the grant program as well as a comprehensive library of resources on how to maintain safe, effective work zones can be found on the grant-sponsored National Work Zone Safety Information Clearinghouse at http://www.workzonesafety.org/. All training products developed under this program can be used free of charge. Also, any training provided by grantees under the grant program is either free or may involve a small fee of up to $25 per attendee. As we continue to reconstruct and replace our Nation's aging transportation infrastructure, please work with us to share this important information with your partners in safety so that the grant may continue its critical work of training workers and saving lives on America's roads and highways. For more information on the grant program, contact Jawad Paracha at jawad.paracha@dot.gov. It's a rule of thumb in the transportation safety community that the more agencies know about why crashes occur, the more successfully they can identify and apply the most effective solutions. 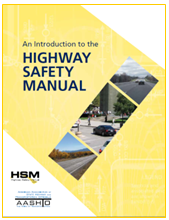 The Highway Safety Manual (HSM) supports efforts to define effective solutions by providing analytical tools that can help agencies predict the overall impacts of their safety programs and project delivery decisions on roadway safety, including the use of Safety Performance Functions (SPF). SPFs are statistical models used to estimate the average crash frequency for a specific facility type. The HSM identifies SPFs for three facility types: rural two-lane, two-way roads; rural multilane highways; and urban suburban arterials. Since HSM publication in 2010, additional research has developed predictive methods for freeways and ramps/interchanges, and NCHRP Project 17-58 is actively developing prediction models for six-lane and one-way urban and suburban arterials. Additionally, State researchers have worked independently to develop many more SPFs. Initiated in 2012, the HSM Implementation Pooled Fund Study (PFS), also focuses on providing more resources to advance the application of SPFs. The primary objective of this study is (1) to advance ongoing efforts by lead States in the implementation of the HSM, and (2) to expand HSM implementation to all States. Presently there are 17 organizations and agencies contributing to the effort, including the Louisiana Transportation Research Center and the State departments of transportation (DOT) for California, Idaho, Illinois, Kansas, Louisiana, Missouri, Mississippi, North Carolina, Nevada, Ohio, Oklahoma, Oregon, Pennsylvania, Washington, Wisconsin, and West Virginia. These 16 DOTs meet annually to develop and update their work plans as well as participate in quarterly conference calls. Workshop attendees from left to right: Stuart Thompson, FHWA; Tim Barnett, Alabama DOT; Clayton Chen, FHWA; Krista Nordback, Portland State University; Dr. Ezra Hauer, Instructor; Xiao Duan Sun, Louisiana State University; Andrea Bill, University of Wisconsin; Kelly Campbell, Idaho DOT; Tim Harmon, NH DOT. How to Choose Between Calibrating SPFs from the HSM and Developing Jurisdiction-Specific SPFs. The guide gives a comparison of the benefits and challenges facing agencies either pursuing calibration of HSM SPFs or developing their own SPFs for their state or region. A How-to Guidebook for States Developing Jurisdiction-Specific SPFs. The guidebook includes a step-by-step process for an agency to develop SPFs for its state or region. The guide incorporates a comprehensive definition of SPFs terminology and examples. NCHRP HR 20-7 (332) Users' Guide to Develop Highway Safety Manual Safety Performance Function Calibration Factors. This guide focuses on the predictive method found in Part C of the HSM (2010). The predictive method, namely the Empirical Bayes (EB) method, is used to estimate the expected average crash frequency of an individual site. Other PFS projects under development include an SPF Clearinghouse and involvement with an FHWA-sponsored workshop that trains participants in SPF development and evaluation. The SPF Clearinghouse will be a web-based database of SPFs along with supporting documentation to help practitioners identify the most appropriate SPFs for their safety needs. Users will be able to search this site to find SPFs or submit their own SPFs to be included in the Clearinghouse. Development of this site is scheduled to start early 2014. Two pilot SPF development workshops have been conducted for researchers as well as State personnel and their consultants. The first took place at the TRB 2013 annual meeting in Washington, D.C., and the second was held in Baton Rouge, Louisiana in July 2013. Both workshops were conducted by Dr. Ezra Hauer, Professor Emeritus in the Department of Civil Engineering at the University of Toronto. These workshops used commonly available spreadsheet tools and provided participants with insight into the SPF development process and how to evaluate resulting functions. 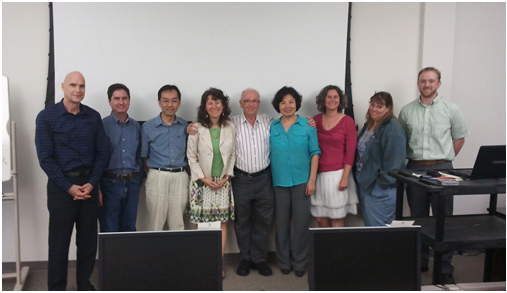 Participants ranked the course in the 90 percent plus range and recommended that it be made available to other users. The course is being evaluated for release to interested universities for use in graduate classes with the potential for a train-the-trainer course in mid-2014. For more details on how SPFs are used, visit /hsm/casestudies/il_cstd.cfm. Public agencies interested in joining the HSM Pooled Fund Study can view the Objectives and Scope of Work here: http://www.pooledfund.org/details/study/484 or contact the program manager, Esther Strawder of FHWA's Safety Technologies Team, esther.strawder@dot.gov. Those interested in the guides developed through the Pooled Fund Study and/or the SPF workshop should also forward their questions to Esther. 39th International Forum on Traffic Records & Highway Information Systems, St. Paul, Minnesota, October 27-30, 2013. The Traffic Records Forum provides an opportunity for traffic records professionals of all disciplines and in all types of organizations to share their experiences, innovations, studies, technologies, etc. in presentations, sessions, and conversations. In 2013, ATSIP will spotlight the contribution of local planners, health care providers, law enforcement, clerks of court, prosecutors, and universities in the collection and use of traffic records. For more information, contact Cynthia Burch at forum@atsip.org or visit http://www.trafficrecordsforum.org/. For more information, please visit: http://www.lotransvirtualconference.org/. Safety Academy: Essential Training for Roadway Construction Safety Directors, Foreman and Supervisors, Washington, DC, December 2-6, 2013. Located at the American Road and Transportation Builders Association (ARTBA) headquarters, this course offers OSHA 500 certification and Flagger Training Instruction certification. The course provides extensive coverage of OSHA standards as they relate to the construction industry and provides "train-the-trainer" instruction that prepares students to educate others in the OSHA course material. Students will learn how to provide instruction on standard flagging procedures and how to provide safe passage in and around work areas. For more information, contact Holly DiGangi at 202.289.4434 ext. 304 or visit http://www.artba.org/safety-academy/. 93rd Annual Meeting of the Transportation Research Board, Washington, DC, January 12-16, 2014. Held at the Washington Marriott Wardman Park, Omni Shoreham, and Washington Hilton hotels, this year's program will attract nearly 12,000 transportation professionals from around the world. The spotlight theme for the 2014 TRB Annual Meeting is "Celebrating Our Legacy, Anticipating Our Future." Register by November 30th to take advantage of lower rates. For more information and to register, visit: http://www.trb.org/AnnualMeeting2014/AnnualMeeting2014.aspx.